These sourdough banana chocolate chip muffins take only about half an hour to make. All you need are some overripe bananas, some sourdough starter discard, and chocolate chips. I made these Sourdough Banana Chocolate Chip Muffins to use up some of my sourdough discard when getting ready to make some sourdough bread. I hadn't used my starter in about four weeks, and it had been languishing in my refrigerator. Because I had been neglecting my starter, I needed to feed it a couple of times to get it bubbly and ready for leavening bread. What does this mean? When refreshing a starter, you will need to discard some of it unless you want it to overtake your house. Fortunately, the sourdough discard can be just as valuable as the refreshed starter itself. It's basically a tangy batter, the consistency of pancake batter, with equal parts flour and water by weight (100 percent hydration in "bread geek" speak). You can take any quick bread recipe that calls for flour and water, and substitute some sourdough starter by weight. It adds a wonderful tangy flavor and helps your baked goods maintain freshness. If you don't have a sourdough starter, you can always make your own! There are many ways to start your own. You can try this relatively simple recipe from King Arthur Flour. Once you have your starter going, follow these instructions from maintaining your starter from King Arthur Flour. You may just become a bread geek like me. These muffins were moist and delicious. They stay fresh in an airtight container for up to four days, and also freeze well for up to a month when individually wrapped and placed in a freezer bag. Note: When I made this recipe, I got about 16 muffins, so I had to use an additional pan. Whisk the flour, sugars, baking powder, baking soda, and salt together in a large bowl. In another bowl, mix together the starter, oil, mashed banana, sour cream, egg, and vanilla. Whisk until smooth. Add the liquid mixture to the flour mixture, folding until combined. Fold in the chocolate chips. 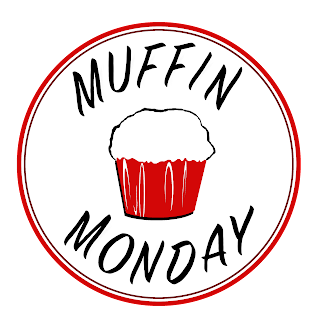 Fill the muffin cups until 2/3 to 3/4 full. Bake the muffins for 20 to 25 minutes, until a toothpick inserted in the center comes out clean. Let the muffins cool in the pan for 10 minutes, and then remove them from the pan to a wire rack. Recipe adapted from Bake from Scratch, March/April 2018. This issue has several recipes for using sourdough discard. Your muffins are such a lovely golden color, Karen. And those fluffy insides! Perfection. My sourdough starter has been neglected in the refrigerator for several months. I almost chucked it out last weekend but when I opened it, it didn't smell off at all. Perhaps there's hope? There totally is! Take it down to about 3 tablespoons and add some rye or whole wheat to the flour you feed it with. Feed it a couple of times, and you should be good to go! I have been dreading perking up my starter. I refreshed it a bit before we moved, then pretty much relegated it to the back of the fridge. No central air meant that I didn't even want to ponder using my oven, or even my bread machine, during the summer. But it's getting cool outside here, so it's time to think about ways to keep warm during my first Minnesota winter, and sourdough--and muffins made from discard--sounds just fine to me. Thanks Kirsten! Yes, break out that starter. I just know that my starter would die of neglect which is why I still haven't taken the plunge. I've made banana chip muffins before but not with starter. Sounds fantastic! I'll have to try it. Now I'm intrigued! I'll need to make more starter so I can try these! Thanks Amy. I think it really helps keep them fresh too. 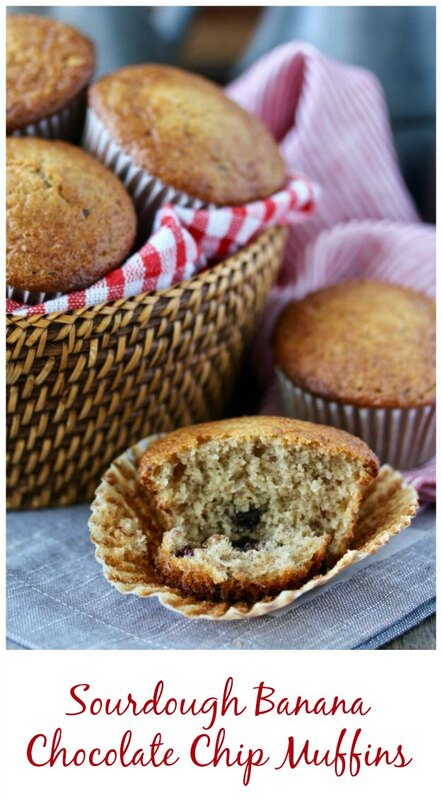 These muffins look absolutely wonderful!! 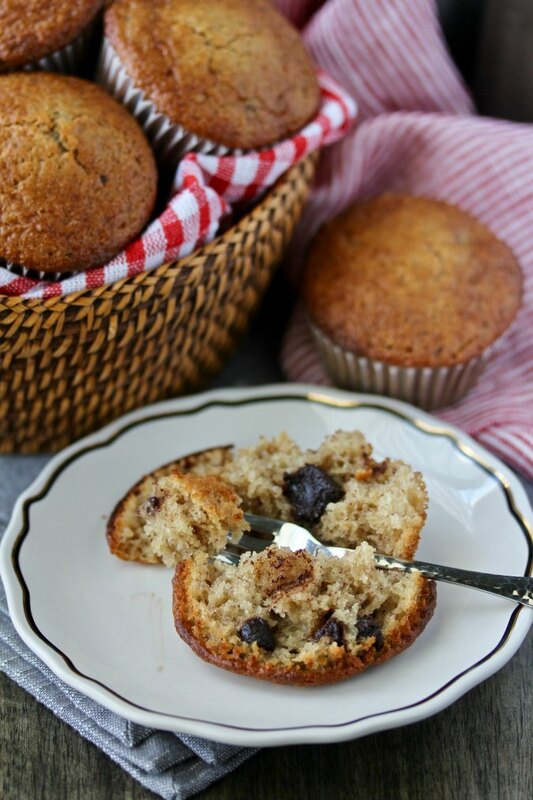 I just can't get enough muffin recipes, and yours look perfect! 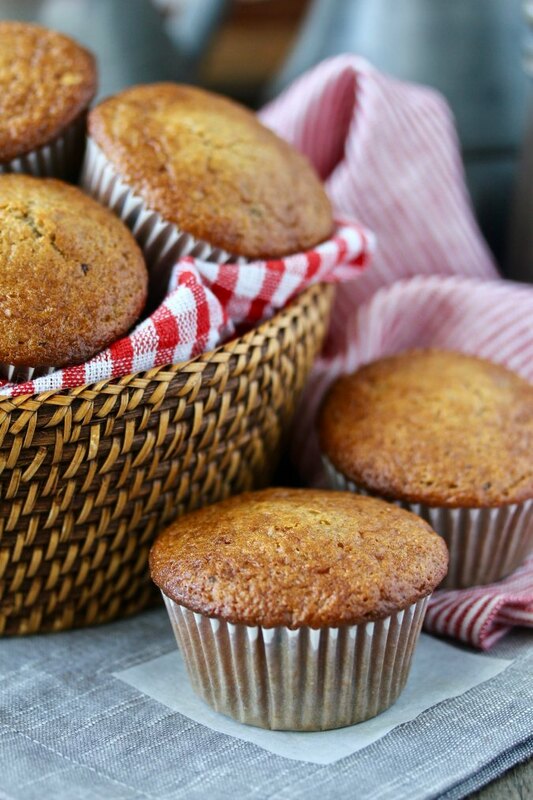 I love the idea of using sourdough in muffins - definitely one to try! Thanks! It can be adapted to almost any muffin recipe! Yum! these sound delicious! I have some sourdough discard that needs to be used up now I know what to do with it. You will love not having to throw it away.